MT: I’m a self-taught photographer and graphic designer. I’ve had seventeen years’ experience in media working at Goolarri Media in Broome. My professional skills as a graphic designer have been a great foundation for my later work in image editing, television, in my business Jalaru Designs and my photography practice. DRS: Tell us about your arts practice? MT: While my own practice is wholly contemporary and engaged with the work of both Indigenous and non-Indigenous artists, specific themes of interest to me originate from my background as a Yawuru/Djugan man raised in Broome. My design work uses elements of Indigenous markings and iconic shapes in a modern aesthetic. 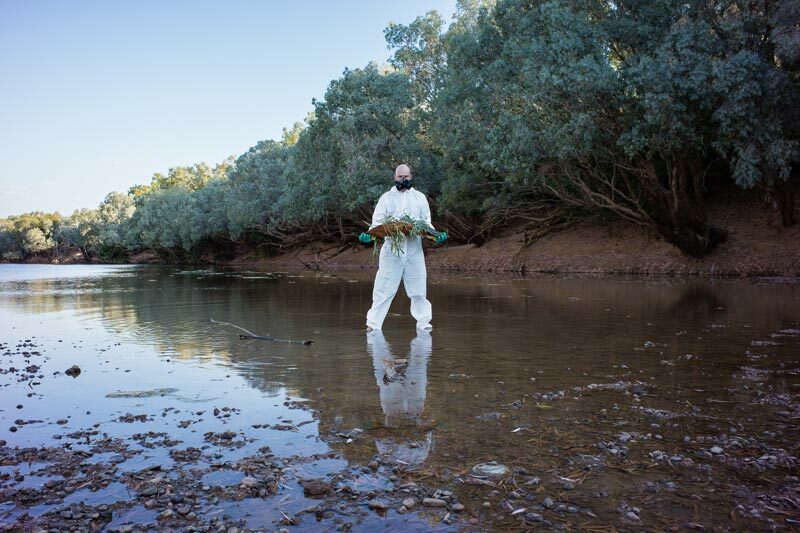 My work utilises abstract imagery with a subtle touch and captures my people in a strong light; I work towards demonstrating that we are much more than the narrow portrayals of remote Australians delivered by mainstream media in urban regions. I have always wanted to push the boundaries of photography while showcasing my Indigenous values of country and people. DRS: Your extensive background working in media has certainly come in handy in regards to online platforms. You have your own website http://www.jalaru.com/ showcasing the breadth of your photography practice in landscape, portraiture and abstract forms through different projects – Gulu, Portraits & 245T for example. MT: Yes, the website is going to be my online exhibition space because where I am physically in Broome there’s not a lot of space to do exhibitions, so the online one is something that can evolve and be organic. DRS: From your online presence it’s evident that you have ‘a good eye’ so to speak, have a firm grasp on the technical and creative capacity of the camera and are more than capable of a successful career as a commercial photographer covering events etc. – nevertheless, you really want to move into fine art is that right? Why? MT: I guess I can create more artistic work that isn’t you know, clearly commercial and I feel that I am mature enough as an artist to create work like that. The past five years I’ve been constantly trying new techniques, honing my skills, learning a lot about the craft, learning a lot about myself and what exactly I want to portray in my work. A lot of that is seeing other works, travelling overseas and I guess getting my voice and now saying it in a way that is true to myself. I am developing techniques to express the images, not only as printed work but as projections and narration. 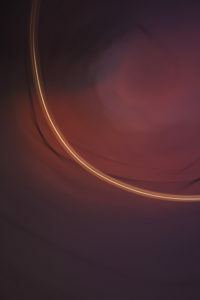 Bending Light is a style that I’ve worked on in the past 12 months, the ‘capture through motion’ of this style records the colour and texture of the landscape in a unique way and will be the backdrop for my graphic design work. DRS: What inspires your work? 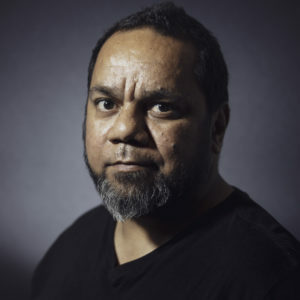 MT: When I go out and do shoots, sometimes it’s just a portrait session and it can be someone young, non-Indigenous or old, Indigenous, doesn’t matter who it is, but each person has a story and so you have a yarn, communicate and get a connection with them. You hear about their story, how it connects to you and usually in those moments it triggers a lot of concepts in my head, which is just the way my creative brain works. I can’t sit in a room and come up with ideas, I need to go out, shoot something that’s totally different and my brain will click. photography has grown – from presenting my own stories to also supporting and sharing other artist stories to a wider audience. DRS: What do you want audiences to feel and take away from your photographs? MT: I guess, some of my work is a bit ambiguous; it does take a lot of thinking. I’m not trying to give the viewer all the answers. And that goes towards work that is political and non-political, I like to mix it up where people are seeing work that doesn’t necessarily look political but it is, hence the Agent Orange stuff, and some of my new work will incorporate more imagery clues. DRS: What I find exciting about you as an artist is that you seem to have a never-ending supply of conceptual ideas – every time I speak to you there’s a new idea brewing! In your series Beautiful Violence your artist statement read; “The concept is about how the light changes from daylight to night and the beautiful violence that occurs in light from light to dark, the change in colours and mood and the coexistence of both worlds for a brief moment of time, this concept is a parallel with the history of Black and White Australia, small moments of unity hidden by vast times of ignorance of each world.” Despite the broad range of thematic content in your work, for example between Beautiful Violence and the Agent Orange series, there does seem to be a common thread in that landscape is always a seminal contributing factor. MT: I have always had a strong pull in my design to showcase the Kimberley, and the colours and texture of the landscape and people of this region have inspired my work. I do installations on country and in remote places using the amazing rugged landscape as a backdrop to my art. DRS: As an independent artist without the support of an arts centre, you have to focus on your arts practice while simultaneously being mindful and proactive about seeking exposure and exhibiting opportunities. How have you faced this challenge? MT: Yes, I’m pretty solo over here, not part of an arts group so getting exposure is quite hard. There are a few limitations to exposure living in a remote place like Broome, there are not a lot of galleries that will want to even touch photography. So, I’ve had to make sure when I do go away that I see many galleries, museums and actually go to those spaces and introduce myself so they can see a face to a name and have a conversation, works better than an email. DRS: That’s pretty brave to put yourself out there like that! What have the responses been like? MT: Good. But obviously you just meet them so they’re not offering a lot, now they’re keeping an eye on my work and see where I go, which is understandable. A lot of things come into it when you’re thinking about a space, I’m looking for support, foot traffic, because there’s no point having a nice space that no one visits. Having galleries on your resume helps and attracts, it’s a slow process which I’ve started this year through Contact Sheet, who were great. DRS: How did they help? MT: I contacted them a year ago about hiring a space and then one of the staff there remembered my work and wanted me to be part of a group exhibition, then from that connection another curator asked me to be a part of the Head On festival. From that Paper Mountain in Perth contacted me if I was interested to do a solo exhibition, so it started the ball rolling which was great. DRS: You’ve been entering a few awards lately, such as Head On Portrait Award & Lens Culture – Do you think that awards are a good way for emerging artists to ‘break out’ into the art world? MT: It’s pretty scary *laughs* I think you really need to have your best or strong work ready for it. Myself, I don’t see competitions at this point in time as a priority, I’m more focused on getting my name out and creating a catalogue of work. DRS: You recently exhibited a series of works at a show called Home in Sydney – tell us about it? MT: That group exhibition was based on the concept of how you see home. Some of the artists used the idea of home as a physical form, actual buildings, some did memories. Myself, I did it via an abstract view of landscape, the colours and textures for me in this region, feels like home. I played on that angle, a building can be anywhere but actual country is the DNA of home. DRS: Apart from the issue of local gallery representation, do you find other challenges working in regional Australia? MT: There are limited professional opportunities available to artists in the far north of the state. I have worked collaboratively with other West Kimberley artists, particularly poet and painter Edwin Lee Mulligan and Bardi artist and pearl shell carver Garry Sibosado on developing our own cross-arts projects, living in a small isolated town has meant having to initiate these activities proactively. Geographic distance has also meant that I must turn to online resources for exposure to other artists’ work and developments in fine art photography worldwide. It is challenging, because it is important for both my own practice and my peers in the remote Kimberley to be able to access international developments and network in the contemporary art world. Also, I guess, being based in regional Australia your work tends to be stigmatized, you know, automatically viewed as a map of country, a waterhole or hunting ground. Galleries tend to like that work and so it paints a lot of us artists in a small corner where we can’t expand from, there’s not much encouragement because a lot is based on what sells and what people want to put in their homes. So, in saying that, that’s why I’ve decided to steer away from the commercial work and do more fine arts photography. Because, there are stories I want to tell, a lot of it is conceptual work, some of it is documentary style work or photo journalism. I do abstract landscape which is more conceptual, showing another way of seeing country that’s become a bit more political, showing other ways of sharing stories and connections. It’s expanding on what you know. Hopefully I can encourage other people in remote areas to go down that track as well instead of being pigeon-holed to make things that look pretty or you know, tell only one type of story. DRS: How do you stay motivated? MT: Ironically, with photography you need to constantly shoot. Obviously if you’re shooting the same style, same subject everyday you’ll lose that motivation quite quick so over the years I’ve shot a lot of different subjects, a lot of different styles and I tend to go back to it when I’m feeling a bit flat. It’s mainly to regenerate my creative eye basically. DRS: Your arts practice is quite multi-disciplinary. You first came to our attention at Desert River Sea as an independent Kimberley artist from Broome but you’ve since demonstrated a variety of other talents particularly as we’ve got to know you better through your involvement with all three DRS Visual Arts Leadership Programs (VALP). Last year in Kununurra you and other VALP participants were given the opportunity to curate and present your own group exhibit at Waringarri Art Centre’s Dawang Gallery during the Ord Valley Muster. Is curating something you want to move into? MT: That experience not only expanded my skills in presenting and explaining my photographic work, it has left me strongly motivated to seek greater exposure to exhibitions and curatorial practices beyond the limited opportunities available in the West Kimberley. I have strong connections with other artists in the West Kimberley, and a great interest in the differences, difficulties and drivers of remote Indigenous contemporary art. I would like to curate Kimberley Indigenous art in the future, not only nationally but internationally; I feel a deep commitment to furthering my own practice, as well as the work of other contemporary artists in the Kimberley. As a remote Indigenous photographic artist I believe I would bring a unique perspective to the curatorial experience. I’m inspired to create and curate more thought-provoking work in photography, design and film, pushing the envelope of Indigenous storytelling. DRS: Based on the strength of your work and the resolution of ideas underpinning your art’s practice you’ve just been invited by Paper Mountain in partnership with the City of Wanneroo Gallery for a solo exhibition at the Wanneroo Library & Cultural Centre – congratulations! So this exhibition will take place during NAIDOC week alongside the exhibition, Montages by Tracey Moffatt and Gary Hillberg in the main gallery. How do you feel being exhibited alongside such celebrated artists? MT: Quite an honor I guess, it’s scary and daunting at the same time and I’m not in the safety of a group exhibition, it’s all me. So, I just have to make sure what I’m trying to portray is conceptually at least, close enough to their level. DRS: Will this be your first solo exhibition? MT: Yes. And a totally new show. DRS: What’s the theme of this new series you’ll be exhibiting? MT: It’s called Scar and it’s a teaser taste of a wider theme. This series is basically about how Aboriginal Australians have used scarring to create a visual language that coexists with their oral history, scarring upon objects such as boomerangs, shields, message sticks, pearl shells, stone, cliffs, boab nuts and then scarification of the body. I’m trying to portray and reflect the vast history of scarring but then at the same time I’m also adding in the post-colonial scarring, trauma and mental scarring that have occurred over the past two hundred years. Our culture is alive and has adapted and survived through colonisation and the modern world, we now have new scars of survival that are more often hidden from plain sight. Also present day scarring using inks in tattoos, the modern day type of ceremonial initiation the youth are doing now where they’re proud to have those designs and their tribal name tattooed on their skin. DRS: And you’ll also be running artist workshops alongside the exhibition, what is that going to involve? DRS: Sounds like a lot of fun, when is the exhibition open to the public? MT: The 14th of July and the workshops will happen prior to that on the 12th and 13th. DRS: Do you have any other upcoming projects? 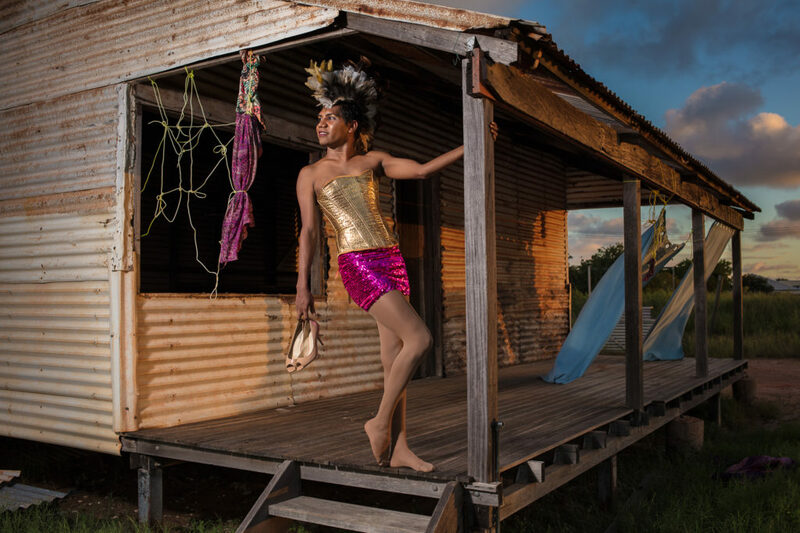 MT: I’ve always been interested in getting into the public art space and I was lucky enough to be selected to work on a project in Broome along with eight other artists, all ranging in ages and artistic backgrounds, for the new Yawuru ‘Liyarn Centre’. My piece will be at the entrance to the building and is inspired around the idea of a tidal pool. I’m also currently working on a virtual reality storytelling project with my cousin Tyson Mowarin, we’ll be capturing stories of people on country in a Virtual Reality environment so that audiences can look around and see the country that’s being talked about. DRS: And where will that be displayed? MT: That will be online as well as a touring exhibition because you’ve got to use a VR headset to see the content. I’m also doing a project around positive role models, men in community, no name yet for that and I’m also doing a new series called Skutta. DRS: What does Skutta mean? MT: Skutta is someone, they’re deadly, they present themselves well, you know. And so that idea is about going out in community and capturing that mob, skutta bloke or skutta girl who want to look good, present themselves well. I think they’d be awesome characters to capture. DRS: Brilliant. Sounds like you’re going to be busy. Thanks for taking the time to talk to us, we’ll be following developments keenly! Any last thoughts you want to leave us with? MT: Although photography is not a stereotypical Aboriginal art form, I think we can use it to capture a broad range of stories, capturing our people on country, I think it will be an important archival tool. I think if we can capture images it gives a lot more range for people to record. With today’s access to phones and camera phones and professional gear I think we are capturing our culture a lot more than we have and I want to be at the forefront of that.